image from 1918 Chronicle newspaper. 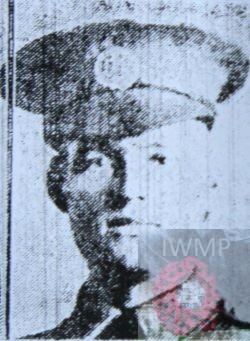 On or since death presumed: 28th April 1917; age 25; KiA. Residence: 9, Hill Street, Ipswich. Brother to JACK GLANFIELD BROWN. Robert was 8 years old and living with his mother & siblings. Henrietta Harriet Brown (nee Holder), 42, born Ipswich. Nellie Brown, 13, a Corset Maker, born Ipswich. Jack Glanfield Brown, 12, born Ipswich. James William Brown, 10, born Ipswich. 1911 9, Unity Street, Ipswich. Robert was 18 years old, a Grocer – Wholesale Grocery. He was living with his parents & siblings. John Brown, 53, a Labourer – Iron Foundry, born Ipswich. James, 21, a Moulder – Iron Foundry. Frederick, 16, a Labourer – Iron Foundry. Robert Walter Brown, born September 1913, Ipswich. Grace Irene Brown, born August 1916, Ipswich. 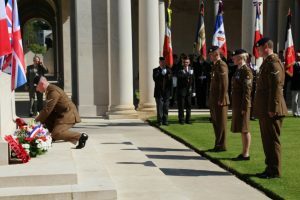 Soldiers’ Effects to Annie Wragg – widow. 2 Pings/Trackbacks for "ROBERT CHARLES BROWN"